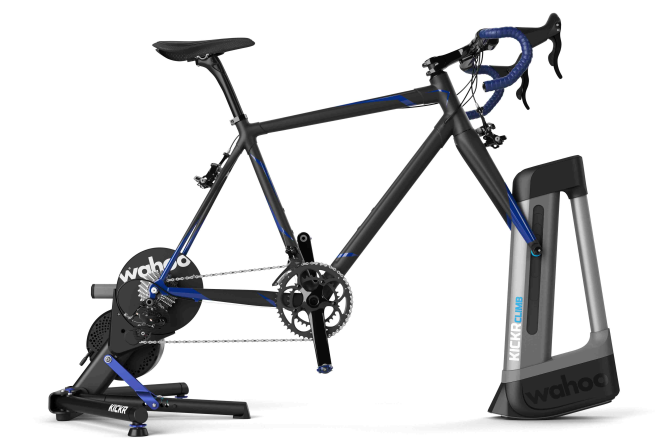 Located in Atlanta, GA., Wahoo Fitness has created a full ecosystem of sensors and devices for the runner, cyclist or general fitness enthusiast. Its award winning line of products include the KICKR and KICKR SNAP indoor bike trainers and the new KICKR CLIMB. KICKR CLIMB is designed to take KICKR indoor training to the next level by adding physical grade changes to your ride. Complete the challenge to have a chance to win a Wahoo KICKR with CLIMB. The world isn’t flat; now, neither is your ride! The winner is Steve Cooper, aka „scooper“. Details are on Facebook. Great job and good luck to all next time! Climb at least 5 000 m Indoors during the Challenge period. Winner’s photo of the unpacked prize is highly desirable for posting on social media for proof and encouragement for others.